1953: OK 53's eastern terminus was at U.S. 77. The highway between U.S. 77 and Gene Autry was then signed as OK 77C. OK 53 begins its easterly trek about 5 miles east of Interstate 44 in the town of Walters at its junction with OK 5. For its over 85 mile distance, the highway doesn't travel through too much. 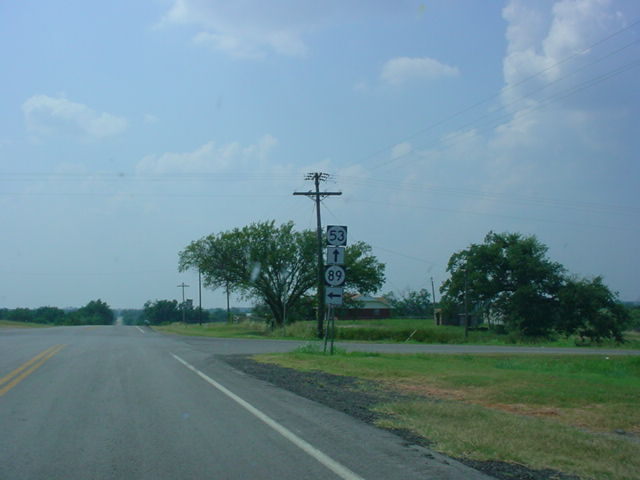 In Cotton County, it intersects OK 65. Then it crosses into Stephens County and travels through Corum, Comanche, and Loco. 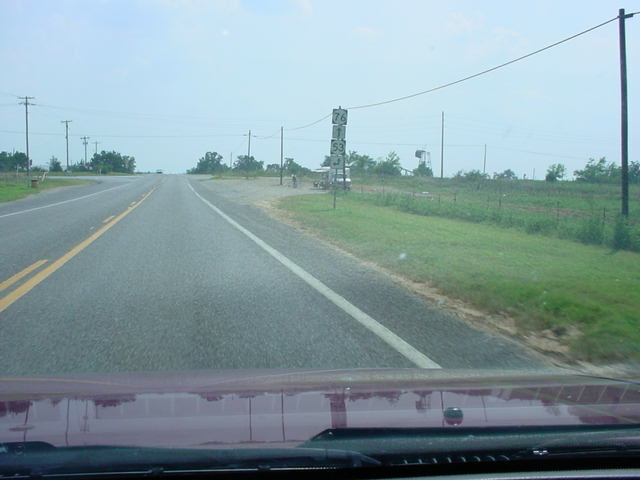 In Comanche, there is an intersection with U.S. 81. There was also a branch route of OK 53 (OK 53A) just east of Comanche that led to Comanche Lake before it was decommissioned in early 2004. 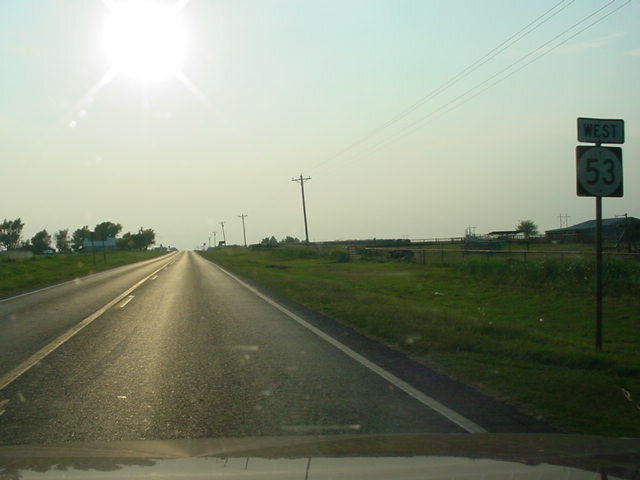 The highway then enters Carter County and joins OK 76 for about 3 miles. Its next major highway intersection is at Interstate 35 Exit 42, and OK 53 heads south on I-35 for 2 miles before exiting off. After exiting the interstate the highway intersects U.S. 77, skirts the northern edge of the town of Gene Autry (named after the former Anaheim Angels owner who was from Oklahoma), and ends at U.S. 177 east of town. of OK 5. OK 65 is five miles ahead. 65. The highway will end in five miles at OK 5. OK 53 East at U.S. 81 in Comanche. OK 53 West/OK 76 South at OK 53 West.